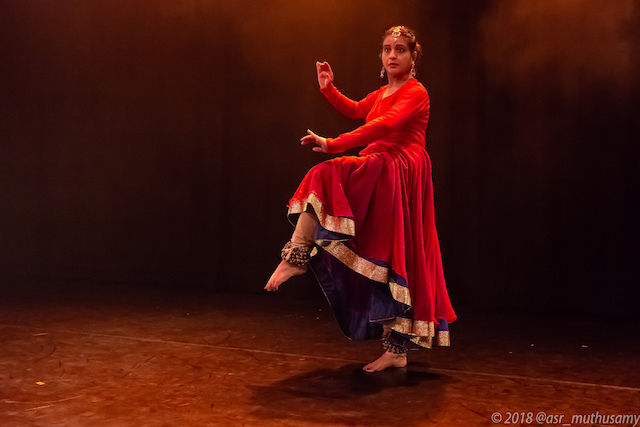 Choreographer and teacher Anuradha Chaturvedi returns to familiar ground in Oxford to present Drishti Dance’s latest production – Facet – an evening of two contemporary kathak works. 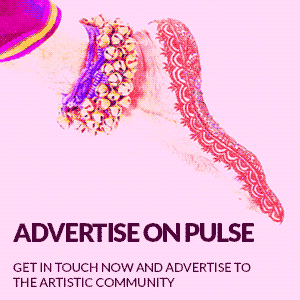 Setting out to explore how kathak evolves alongside changes in aesthetics and human experience, the company open with a re-working of a piece previously presented at The Place (London) and Pegasus Theatre (Oxford) in 2016. Based on a contemporary Hindi poem exploring the concept of time, its cyclical nature, infinity and impermanence, Aur ek Antaraal is a trio danced by Chaturvedi, Aiyana Tandon and Meena Selva Anand. Chaturvedi enters a misty gold-lit stage as Rashmi Chaturvedi’s poetry is recited in a sonorous male voice. 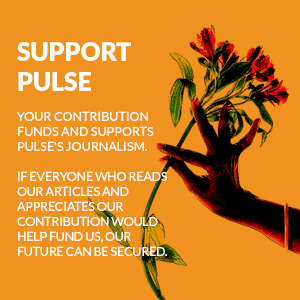 As Chaturvedi continues a slow, wistful exploration of the stage using gestures which reach out, gather in and pause, Tandon enters and recites the English translation of the poem. A duet ensues and develops into a trio as Selva Anand enters. The initial sounds of drone, chimes and flute give way to a gently joyful melody as the three dancers smoothly transition in and out of the performance space in a series of duets and trios. Whilst the sound-score by Gulshan Bharati and Hem Singh complements the theme well, the over-use of synthesised sounds detracts from the emotional impact, with a slightly dated feel. Dressed in turquoise chiffon kurtas and loose fitting pyjamas, the dancers glide elegantly around one another, rising from and lowering to the floor, turning and posing gracefully and exuding a sense of serenity. Perhaps a chance has been missed to explore the darker nature of mortality in the face of passing time? The dancers charm with their dream-like smiles. Floating between gestures – stringing a garland, undulating in ripples, gently brushing the back of the hand against the cheek, they appear suspended in a state of both reminiscence and premonition as Michael Brenkley’s warmly sympathetic lighting fades. The evening’s second work Re-Textured brings contrasting energy with a punchy exploration of rhythm set to a variety of taals. Sonia Chandaria, Jaina Modasia and Drishti Youth dancer Shreya Das open with a rhythmic conversation presented to the audience with flair. This sets the tone for an entertaining display of rhythmic play, as Tandon and Selva Anand join the group. Compositions shift from one to the next ranging from well known tukras (‘Ta Taka Tunga’) to original compositions by Vikas Mishra and Arjun Mishra, lit up by evocative vocals by Hriday Desai. Variety is provided by changes in ensemble size, level and arrangement, interspersed with moments of abhinaya. Chandaria and Modasia perform with notable precision and energy throughout, whether in footwork-heavy tukras or as forlorn nayikas awaiting their beloved. There is a change in tone heralded by the sound of the conch as Selva Anand appears upstage in silhouette adopting sculpturesque Shiva poses which reveal her strong bharatanatyam training. Chaturvedi then performs a Shiva kavit with exquisite detail, a highlight indeed, although slightly lacking in attack. From here, there is a build in pace and numbers as Drishti Youth Dance members join the stage. Cleverly choreographed and well rehearsed, Chaturvedi’s students perform with confidence and clarity alongside the senior dancers. A flurry of footwork, chakars, tihais and the full cast of ten dancers on stage might be a predictable ending, but well executed, it is a satisfying one too. 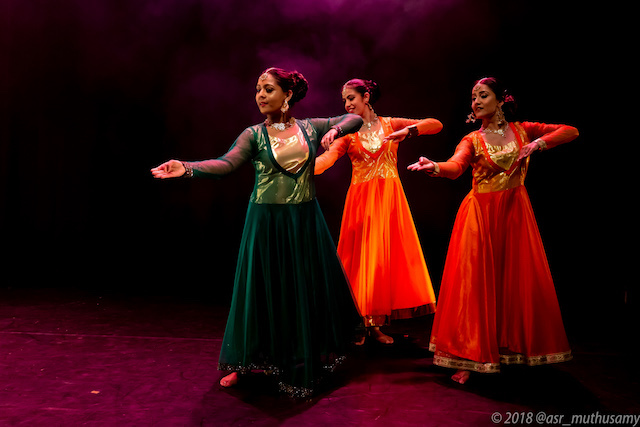 The nearly full house leave the theatre with appetites sated by a serving of the elegance, intricacy and energy kathak can offer.